We the Holsworthy Mafia have been mulling many things over the last few weeks and one thing the town is missing is a Tesco, but we’re never going to get that, so we’ve settled for 80s Euro Pop band called… Micropenis & the Lady Boys. The bands lead singer will be non other, the man who ‘Stepped on a hen, and teared up’. 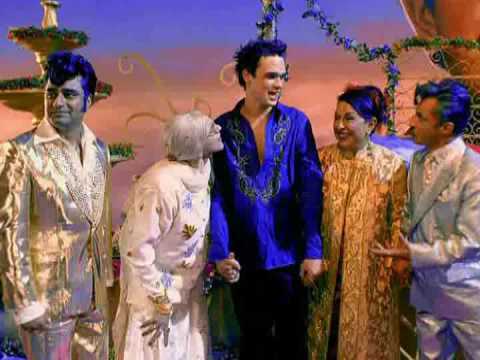 The style of singing is similar to that of Gareth Gates, but only its more 80s / 90s. The Bands name is dedicated to the daily struggle of men with micro penises in Holsworthy, easily identifiable as “loud louts” who act up to accommodate their small appendage. The Band has attracted much attention already from famous people with similar issues such as Simon Cowell who when heard about this upcoming band, simply looked with a creepy smile and said “Its a yes from me”. As quick as the good news came, all was not well on the early hours of this morning though, the Man who ‘Stepped on a Hen and teared up’ was allegedly caught having a fight with a car in a similar fashion to celebs who loose their minds on drugs. When we caught up to the Man who ‘Stepped on a Hen and teared up’, we asked what provoked such an attack, he replied the cars exhaust pipe made him feel insignificant. The Band hopes to play for St Peters Fair in aid of their new hit single: ‘Things can only get bigger’ with vocals backed by the towns other group, the “I.B.T.C” or Ity Bity Tittie Committee. Man who follows Man who stepped on a Hen and teared up. Another idiot who follows Man who stepped on a Hen and teared up. The brother of the Man who ‘stepped on a Hen and teared up’ was deeply upset, he was told to not to tear up and pull himself together, he managed too and walked off into the distance without attacking any muscular Peugeots. The Mafia will not be updating this article, we have better things to do.